– I can’t think of a third American football reference. Anyway. Toronto has, over the past couple of years, quickly become one of the world’s favourite festivals. A lively celebration of the art of filmmaking in all its forms, TIFF lacks the pomposity of Cannes and the Wonderwall-playing self-celebration of Sundance, and chooses instead to simply love movies. The festival embraces a vast ether of films from every genre and plays them to an impassioned audience of cinema-lovers, and this year’s line-up is no exception. From dry satire to romance-fantasy-sci-fi and everything in between, the TIFF standout list has never been more diverse. Two eagerly anticipated films from this year feature the unendingly talented Saoirse Ronan, who seems to have been born with the innate ability to mould herself into anyone. In On Chesil Beach, the adaptation of Ian McEwan’s quietly restless novella about a young couple in the 1960s attempting to consummate their marriage, Ronan is a new bride who slowly begins to learn what it is to be the woman in a relationship. As standard, she’s been deemed a ‘force of nature’ in the role, and alongside Billy Howle as her husband, a boy thrust into the world of adulthood with the door closed firmly behind him, they look set to give a pair of performances that, in true British form, simultaneously say nothing and everything. Not content with just starring in the aforementioned, Saoirse Ronan has also gone in the opposite direction, playing the titular role in Greta Gerwig’s Sacramento-based coming-of-age dramatic comedy. As the self-tortured teenager of a put-upon nurse, she’s going to shine. Gerwig’s first solo venture as writer & director, Lady Bird is a semi-autobiographical narrative that follows a tried and tested genre with a new charm and wit which looks set to reclaim the label of ‘coming-of-age’ from the jaws of obsolescence. Bridging the gap between black comedy and breathless drama is I, Tonya, Craig Gillespie’s latest outing. The unconventional biopic of figure skater Tonya Harding, the film follows Tonya from her childhood at the hands of an abusive mother, through her marriage to an abusive husband, all the way to the tabloid scandal which embroiled her in the attack upon a fellow competitor, Nancy Kerrigan. With an almost mockumentary-flashback style, and a tonal fusion of part Coen brothers-part-Scorcese-part-something-else, I, Tonya is already being hailed as one of the festival’s best films, with career-defining performances from its three leads, Margot Robbie, Sebastian Stan, and serial scene-stealer Alison Janney. If comedy was on the menu, then there’s no one better to deliver than the master of satire, Armando Iannucci. No longer confining himself to the naturally-funny world of contemporary British and American politics, The Death of Stalin instead chooses to witticise the impossible. 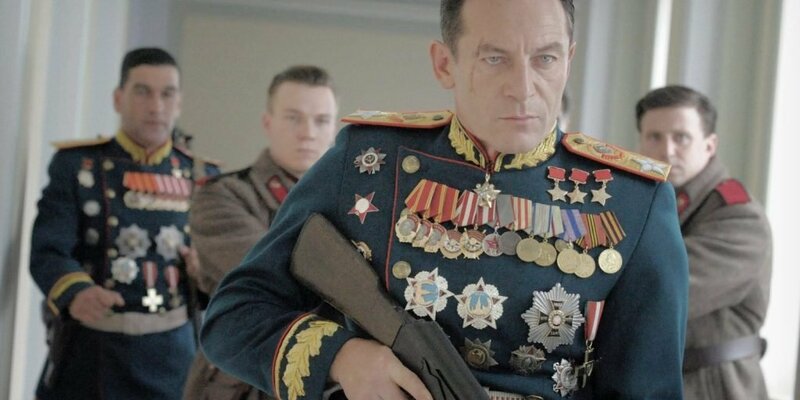 Featuring a transatlantic cast including Steve Buscemi, Jason Isaacs, Jeffrey Tambor, and Paddy Considine, Iannucci’s latest comedy-romp is zanier than ever, and follows the highest-up in Russian politics as they scramble to fill the power-laden hole that the death of Stalin leaves. If you’re a fan of Iannucci and his unendingly quotable dialogue, this should be on your radar. But if you like your comedy offbeat and dark – and I mean truly, black hole-levels of dark – then Martin McDonagh is perhaps the writer/director who does this best. In his new film (which was just chosen for the TIFF Audience Award, with I, Tonya in second), McDonagh makes the best move possible – he puts Frances McDormand in the lead role. Already garnering more Oscar buzz than you can shake a stick at, McDormand plays a grieving mother who launches a public attack upon the town’s police chief (Woody Harrelson) after he fails to catch the man who raped and murdered her daughter. Grounded, bleak, and often funny, Three Billboards had been overlooked in favour of bigger launches such as mother! – until now. Guillermo del Toro is no stranger to a genre-mashup. 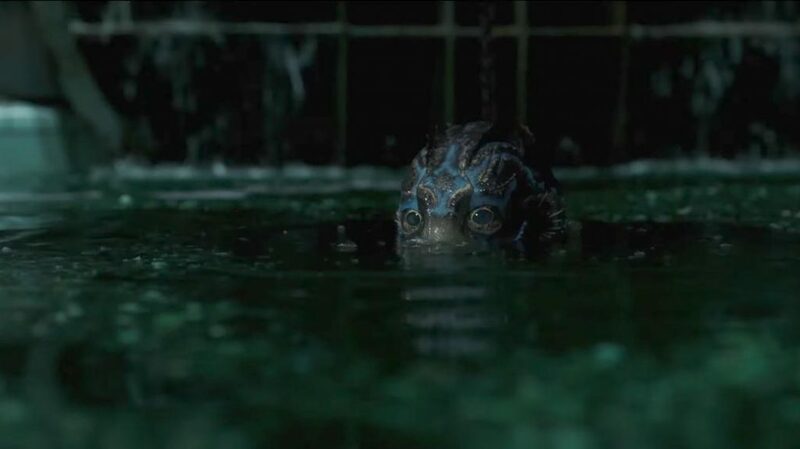 Between Pacific Rim, Crimson Peak, and Pan’s Labyrinth alone, he’s probably got two-thirds of the cinema industry’s biggest money-spinning genres covered, but he’s now decided that this isn’t enough – and so, he brings us The Shape of Water. A sci-fi fantasy film with a romance narrative at its heart, del Toro’s offering follows a mute laboratory worker (the effervescent Sally Hawkins), as she forges a bond with an aquatic genetic experiment. On paper, it’s wild – and knowing GDT, it’ll be just as briliantly barmy on screen. It seems this year, no TIFF Top 10 is complete without sun-drenched-splendor-specialist Luca Guadagnino’s Call Me By Your Name. With a penchant for making luxurious visual beauties, like a technicolor dream of a 1950s romance film, Guadagnino’s latest outing takes us to Northern Italy, 1983, where a handsome doctoral student (Armie Hammer) and a rich young boy (Timothée Chalamet) begin an affair at his father’s opulent villa. Deemed an ‘unfiltered evocation of the agony and ecstasy of first love’, Call Me By Your Name has captured the hearts of audiences and critics alike, and looks set to easily take pride of place as Guadagnino’s magnum opus thus far.